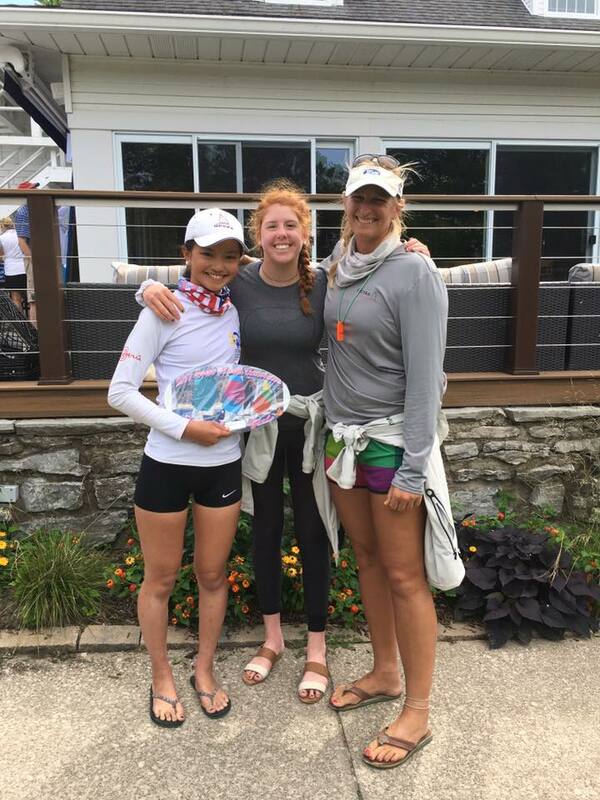 Big congratulations to Yumi and Kara who wrapped up the C420 North Americans at Buffalo Canoe Club in 8th place of 128 boats!!!! These girls staged some epic comebacks in tricky conditions on the last day to finish strong and achieve their process goals. Very proud coach! 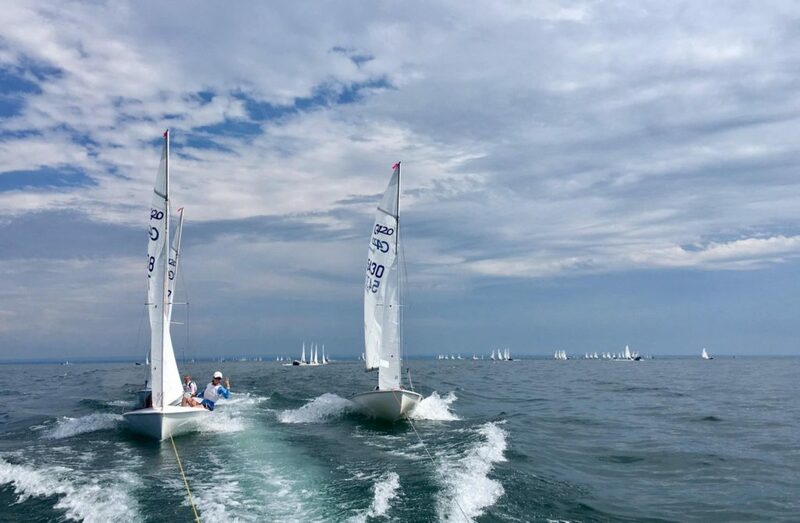 Fickle breeze challenged race officers, but the RC did a fantastic job balancing waiting time on the water with reasonable racing conditions to get in a very fair series. 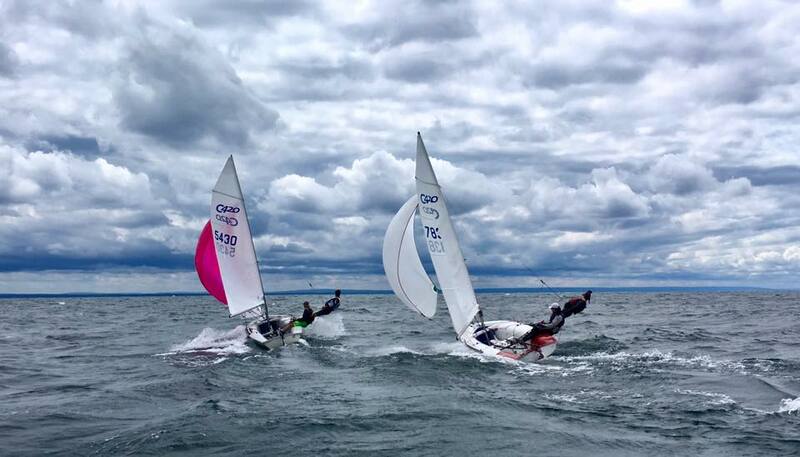 Guest team members Cameron Turner and Oliver Duncan also sailed consistently to finish the series in 12th/128.